If you have interest in discussion of homeopathy, nutrition, and animal ethics check the blog out. New entries are posted as there is time. We are beginning the planning of this next Annual Meeting for veterinarians that have interest in use of homeopathic medicine. The dates for this meeting are February 28 to March 3, 2019 located at Saguaro Lake Ranch east of Phoenix, AZ. If you have interest in this, check it out! 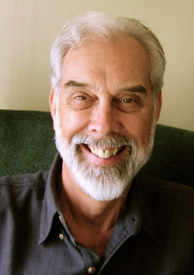 The veterinary practice, Animal Natural Health Center, was founded by Richard Pitcairn, DVM, in 1986 as a clinical and teaching center in Eugene, Oregon for the understanding and use of homeopathic medicine in the treatment of disease. The use of excellent nutrition using home-prepared & organic foods was also emphasized. In 2002 Dr. Pitcairn retired from practice, and eventually moved to Sedona, Arizona where his wife, Susan, could explore her career in art. In Sedona, the Pitcairn Institute, dedicated to teaching and writing, was established. We offer several educational opportunities. A good place to start is our book, Natural Health for Dogs and Cats, long recognized as the leading book in its field. It has just come out as the 4th edition with a major re-evaluation of optimal nutrition and new recipes for the animals sharing today’s world. We have also posted some talks that Dr. Pitcairn has given at conferences. If you are a veterinarian or veterinary technician, we especially invite you to check out the PIVH Professional Course in Veterinary Homeopathy. This is a 130 hour classroom course leading to certification by the only professional organization exclusively for homeopathic veterinarians in North America, the Academy of Veterinary Homeopathy (AVH). I Really Didn’t Think It Would Work! When they laid the cat on the table I knew we had a sad problem. She was subdued, felt hot and did have a high fever. Worse yet, she was covered with dime-to quarter-sized dark ecchymoses. This was one mighty sick cat. I had thought this was going to be routine, but now I was rehearsing how to tell the clients how their cat died in my clinic. I had enough experience to know that any regular treatments I could think of would not have time to work. New to homeopathy but desperate, I gave her one dose of the remedy I thought was indicated. Within just a few hours, she rapidly recovered with only that one dose of homeopathic remedy — nothing else. She went home a happy cat and left me a happy veterinarian. This was the start of a new path in medicine for me. Thirty years later I am inviting you to join me and other skilled homeopathic veterinarians in learning this wonderful method. Was this just a fluke? I had often wondered if there was another way of treating illness and I found out that homeopathy is one of the most under-appreciated treatment methods out there. A most surprising thing was how fast it acted. In acute problems — injuries, infections, toxicity — the response was much faster than I was used to. One of the things you first learn about homeopathy is that it is different. The medicines used are different, the dosing is different — even the way we see the patient is different. But, in a strange way, it is very exciting. How often I had bumped up against the limits of conventional medicine in a tough case and always that hopeless feeling would wash over me. “I wish there was another way,” I would often say under my breath. I think this is why homeopathy appealed to me — it did offer another way and opened other doors. You have to study. You must develop skill. Then there are the tough cases — yes, they are still there. Still, as you go along and get better one of the most satisfying things is to have success with cases a few months ago you would have thought hopeless. To me it made all the difference. To share this exciting adventure with colleagues, this program was started as a post-graduate year-long course in veterinary homeopathy in 1992. It consists of 5 meetings, each 4 days in length and spaced out about 2-3 months apart. Ample time is allowed for homework assignments and casework practice. In addition there is an email forum for the class so that teachers can guide and advise between sessions. Almost 500 veterinarians have taken this training since then and in 1995 the Academy of Veterinary Homeopathy was organized, the first professional organization of veterinary homeopathic practitioners in this country. The Academy sets standards, puts on an Annual Conference and certifies practitioners of this art and science. Conduct an in-depth initial interview and exam. Choose the best reference books and resources to guide prescriptions. Select potency and treatment schedule. Obtain, administer and store the medicines. Differentiate patient responses (palliation, suppression or cure? — an eye-opener that helps you understand ALL your cases). This program is operated by the Pitcairn Institute of Veterinary Homeopathy, with director Sarah Stieg, DVM. Please go to this site for further information on the next course — meeting dates, book recommendations, testimonials from graduates of the course, case examples.